Last year I went to the Kutztown Folk Festival with Joan, and I went back this year today! It was a nice way to spend the Fourth of July. My DH came along, too, which surprised me. He mostly came for the food, and that’s fine! There”s a lot of good food there. It was mostly the same stuff as last year, but it was nice to revisit the vendors that I enjoyed then, though. I didn’t take The Beast (my DSLR camera), but rather just my point and shoot. It was too hot to lug a big camera around, plus I figured it would be the same pictures again. Still, here are a few shots of the day. 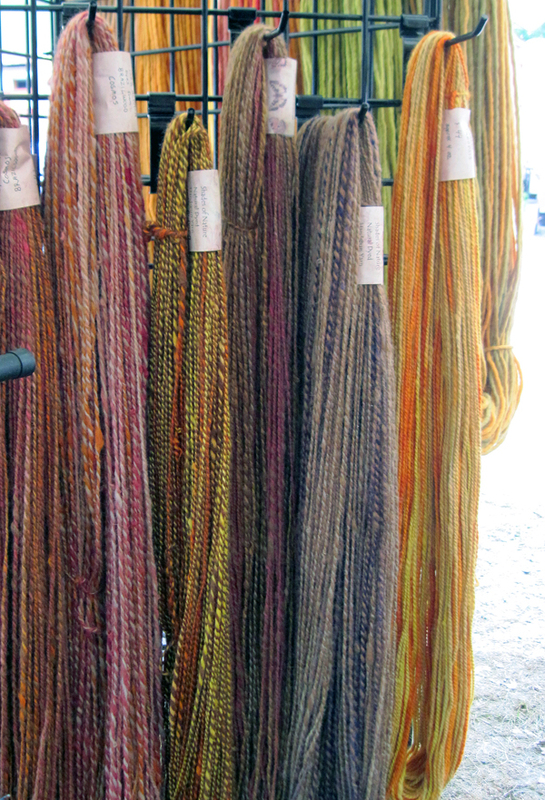 Naturally dyed wool. 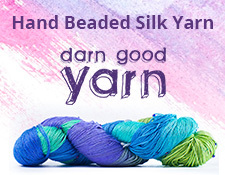 I love this yarn, but it was really expensive, so I passed. 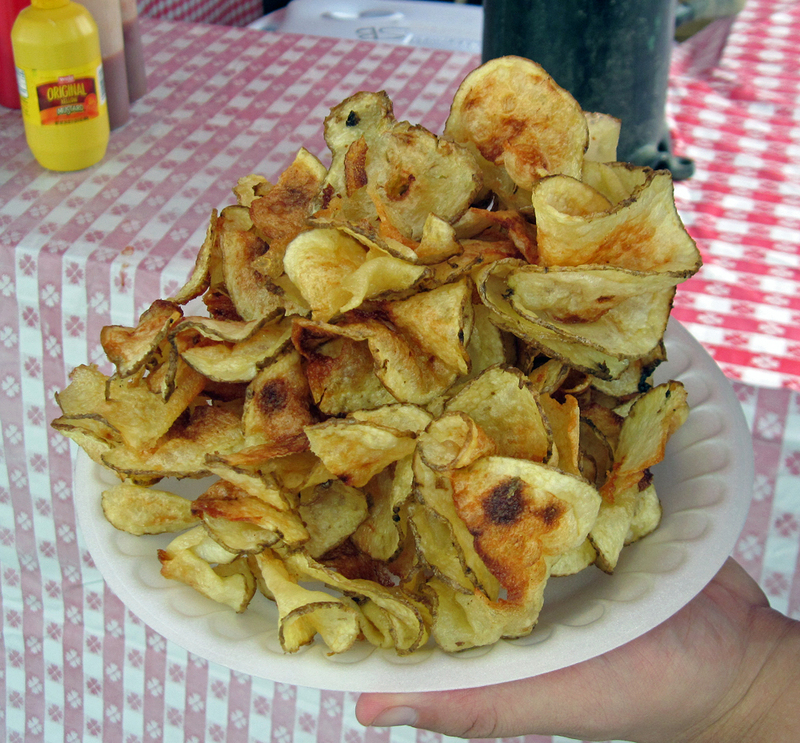 Freshly made hand-cut potato chips. My DH and split them and they were delicious! 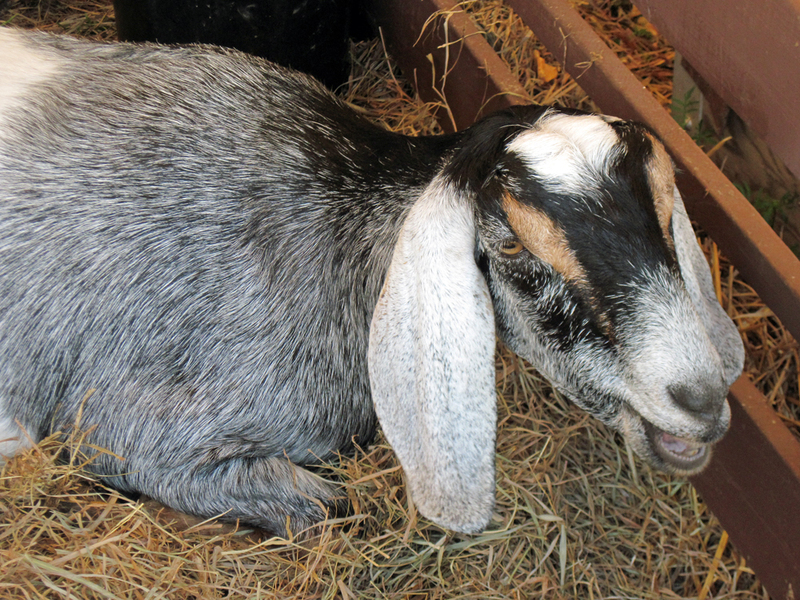 There was a petting zoo again! 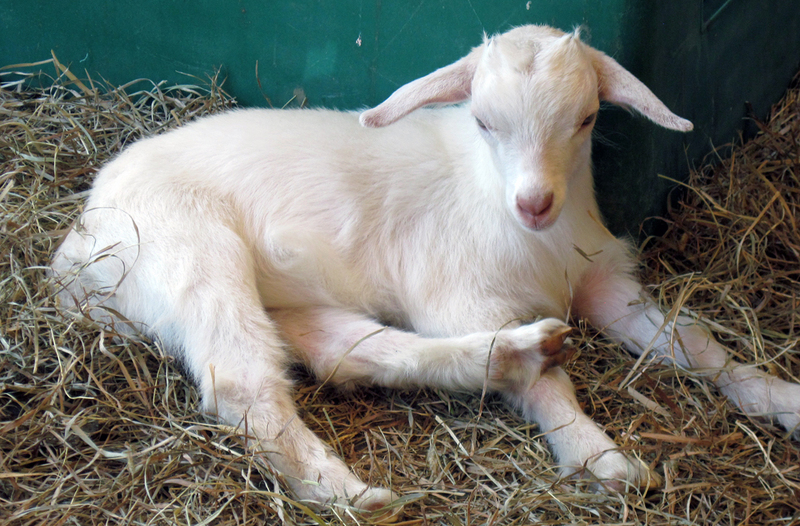 I think the goats are my favorite. 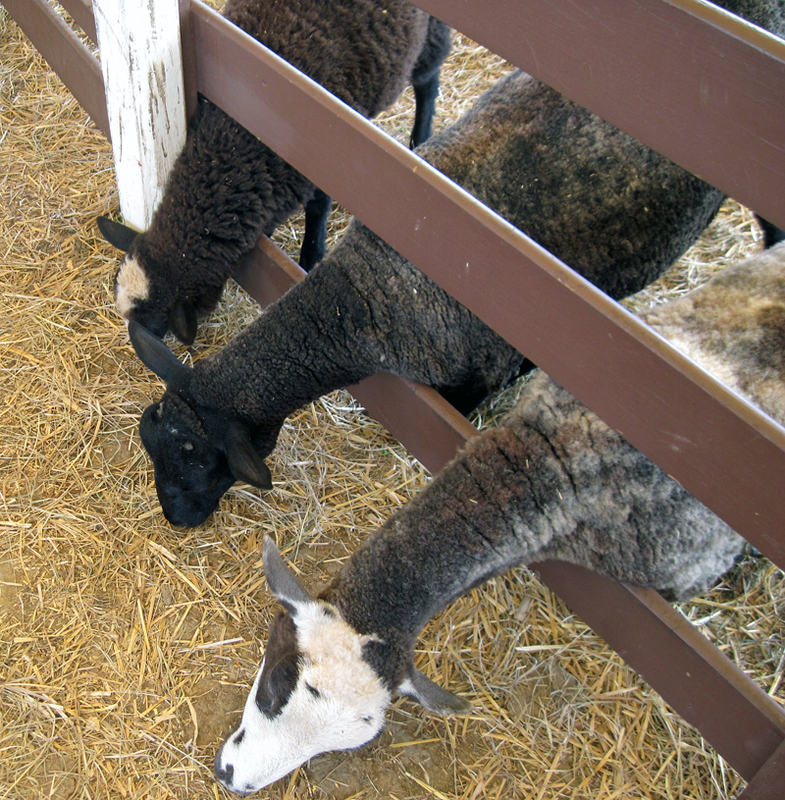 I guess the straw inside the pen wasn’t good enough for these three freshly sheared sheep. This kid was absolutely too cute not to take a photo of. Ah! Now for my purchases. 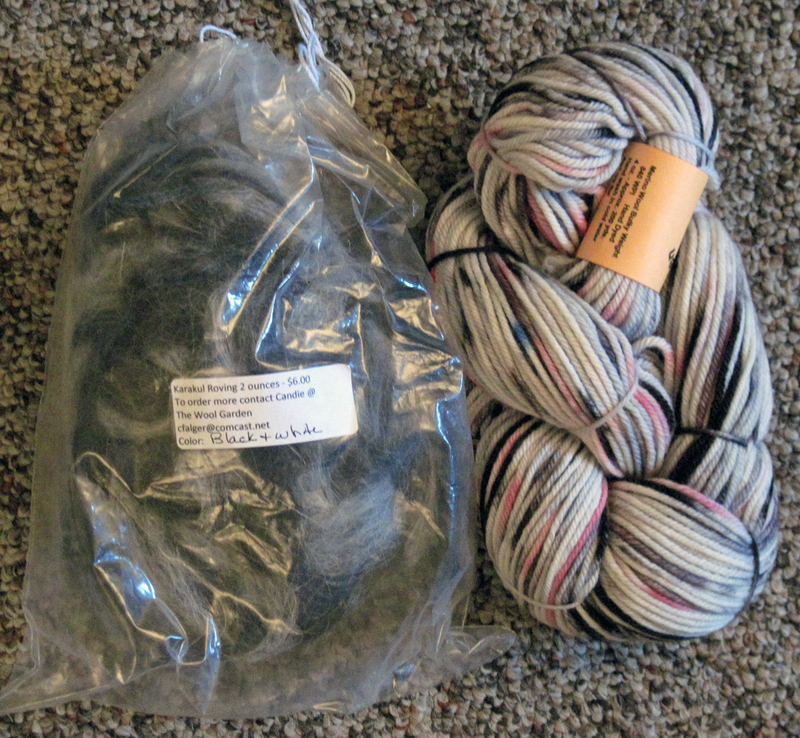 I bought some roving and yarn from the same vendor as last year. The stand is owned by two women who work as a cooperative. The roving is from Karakul sheep from The Wool Garden. The yarn (I have a thing for black and pink lately for some reason) is from The Wool Garden as well. The Kutztown Folk Festival runs until July 7, 2013. If you are in the area or in eastern PA, I suggest you check it out.